an html quine || This is Generic Dot Cx. A quine is described as a program which produces a copy of its own source. 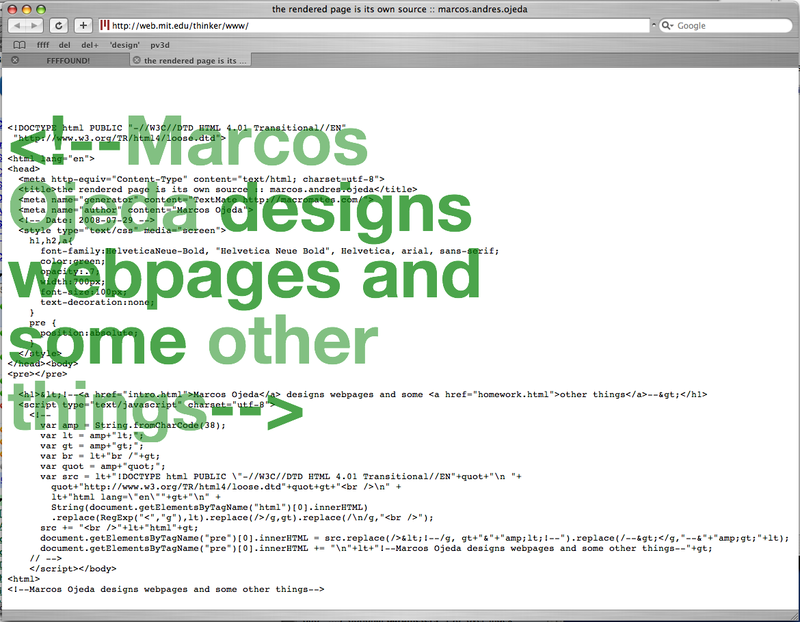 Generic.cx is an html+js+css quine from Marcos Ojeda on Vimeo.